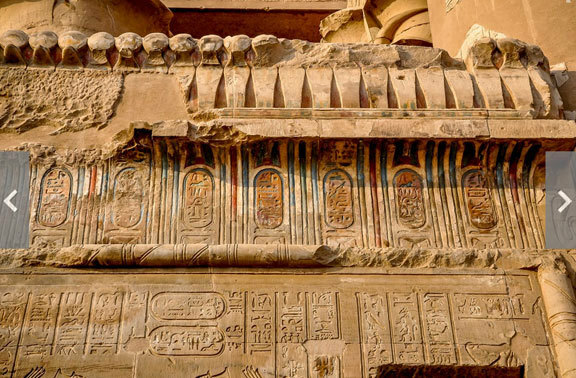 The façade and columns have wonderful carvings of the Ptolemaic kings beating the enemies and presenting the offerings to the gods. 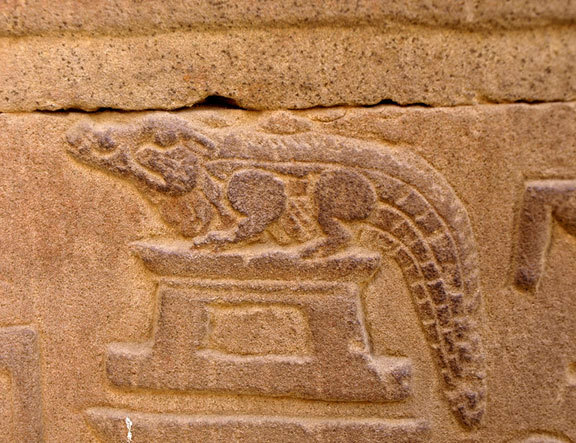 The Temple of Kom Ombo, built during the GrecoRoman period (332 BC to 395 AD), is very unusual in that it was dedicated to two deities - the falcon god Horus and the crocodile god Sobek. 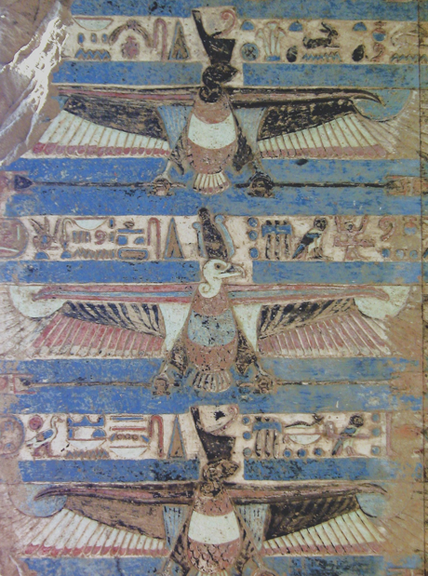 The inner chambers are divided symmetrically between the two gods. 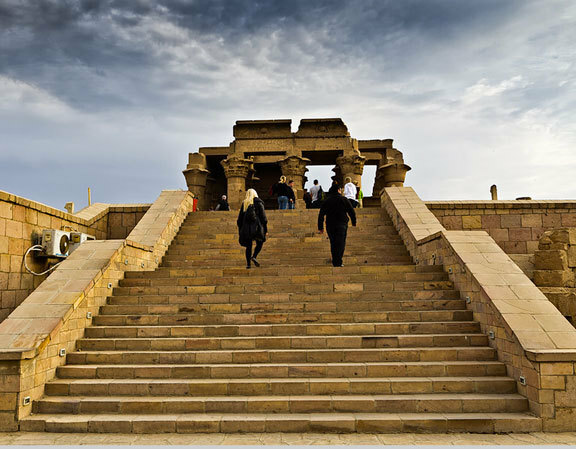 there is a large court with remains of a Roman columned portico. 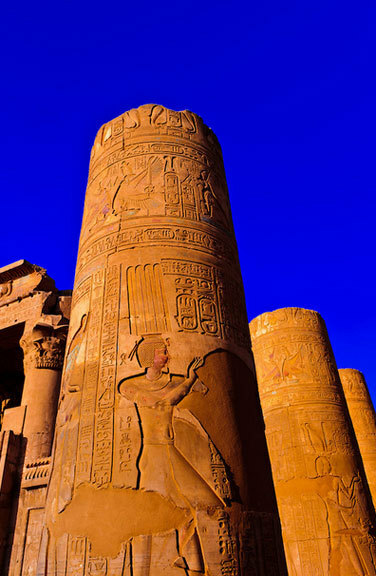 The Ptolemies constructed the Temple of Kom Ombo for the worship of two gods, Sobek, the crocodile god, and Horus, the falcon god. 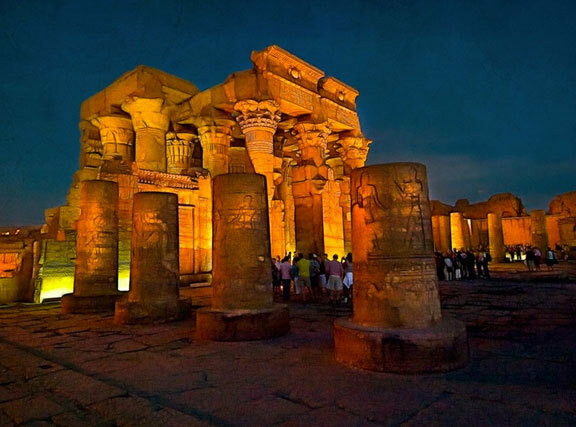 This is why the complex mainly consists of two parallel temples with all the traditional components of such ancient Egyptian religious structures. 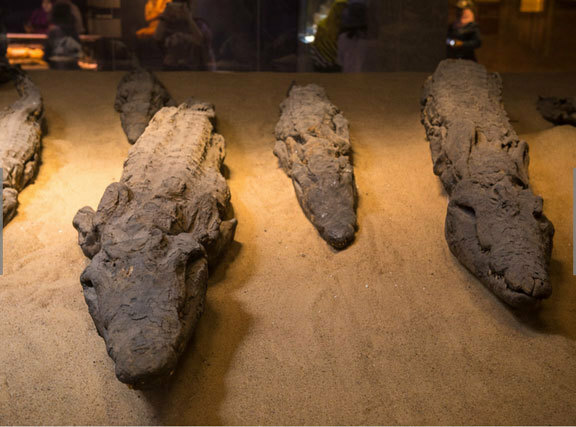 A few of the 300 crocodile mummies discovered in the vicinity are displayed in The Crocodile Museum.